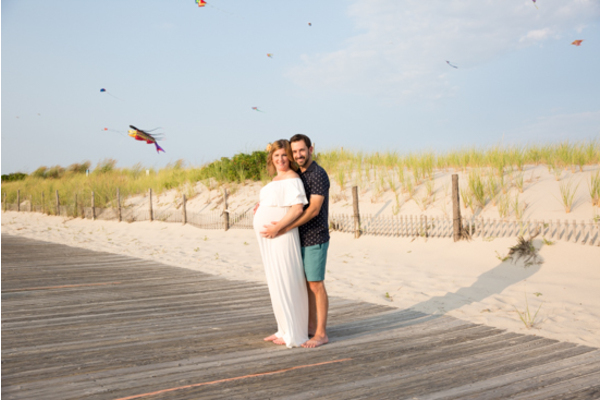 Congratulations to Jamie and Ben! 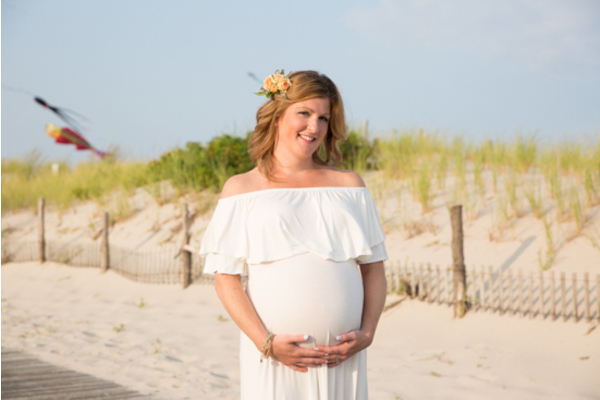 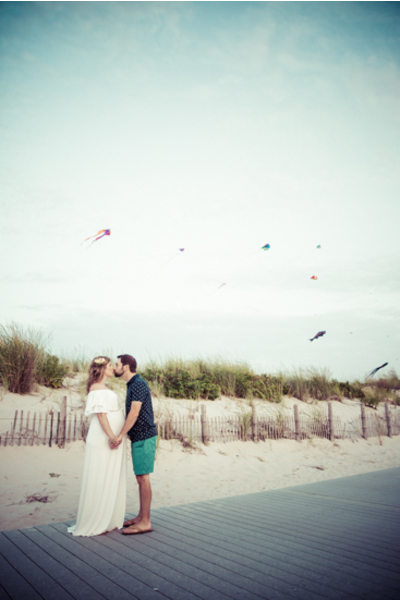 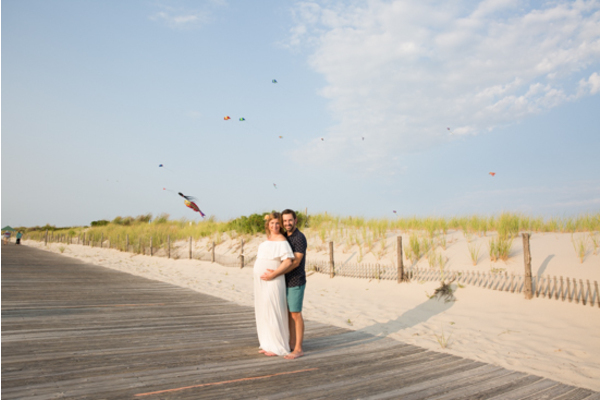 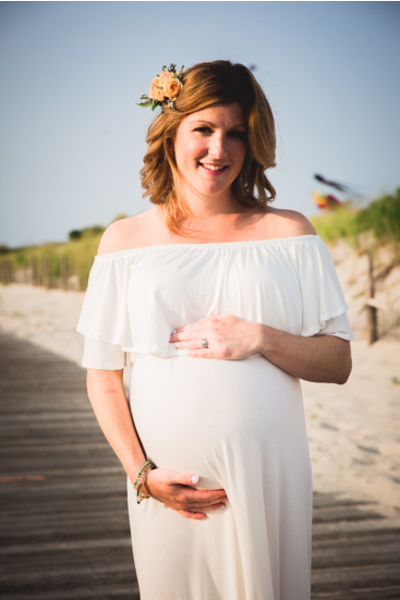 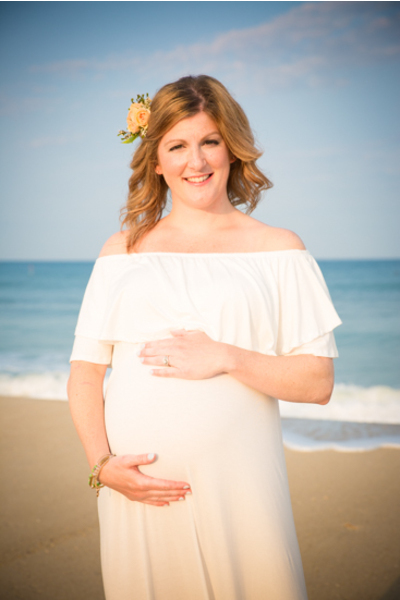 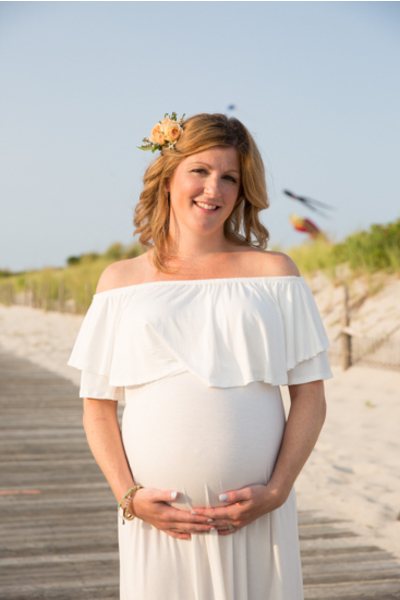 At South Seaside Park, our NJ Wedding Photographer captured precious moments of this beautiful chapter of Jamie and Ben’s life! 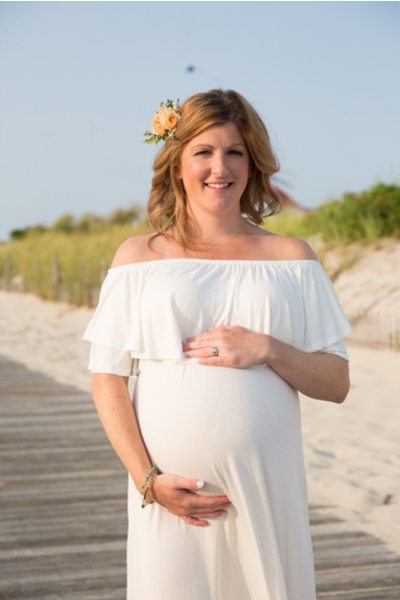 Jamie wore a stunning summery white off-the-shoulder dress and a gorgeous flower in her hair. 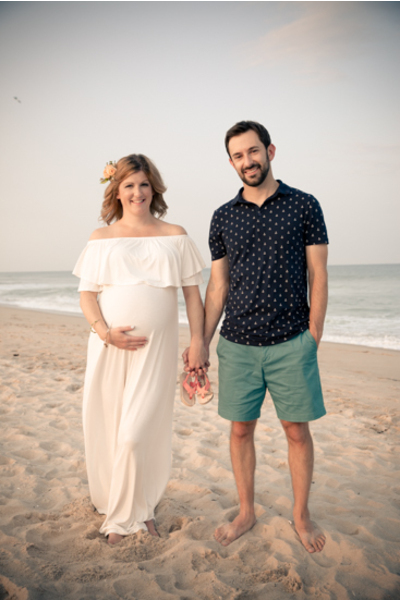 Ben stood happily by her side wearing a printed button down and teal shorts for a pop of color! 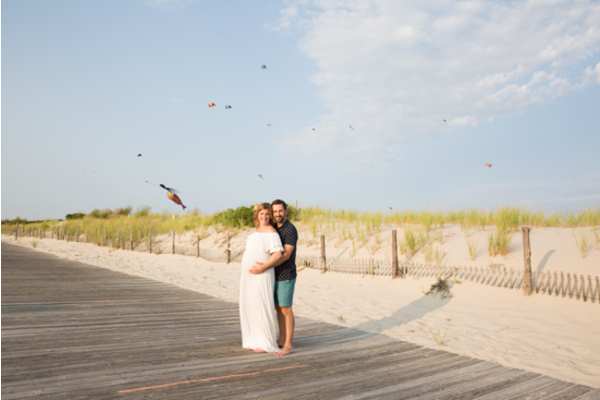 As the sun was slowly setting, this happy couple painted the perfect scene. 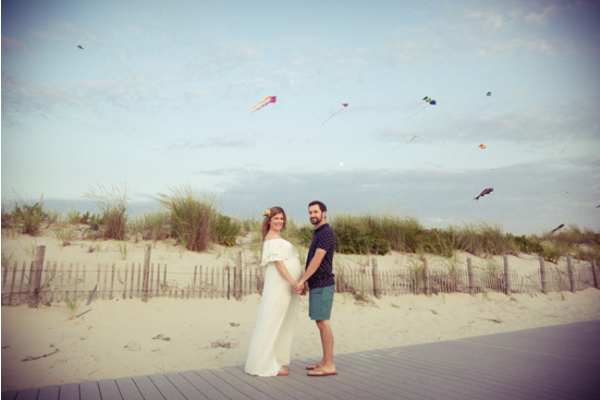 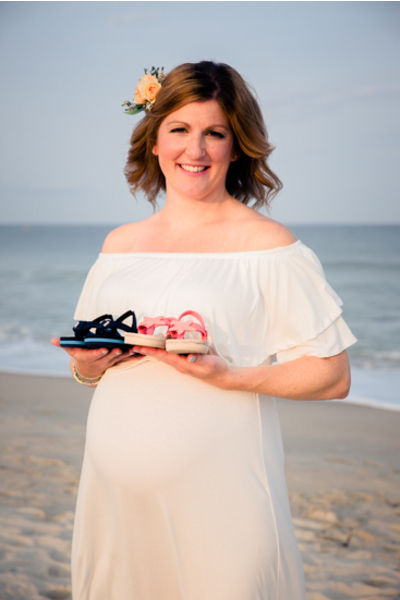 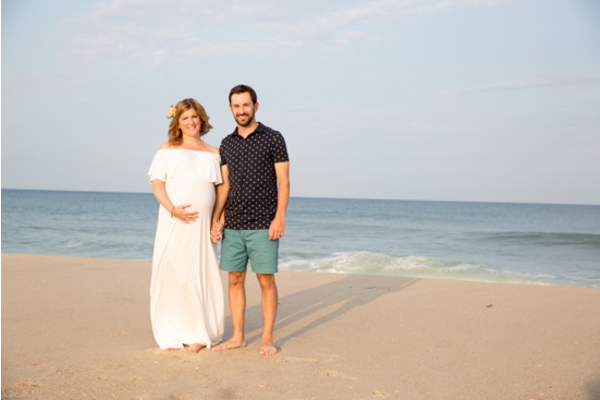 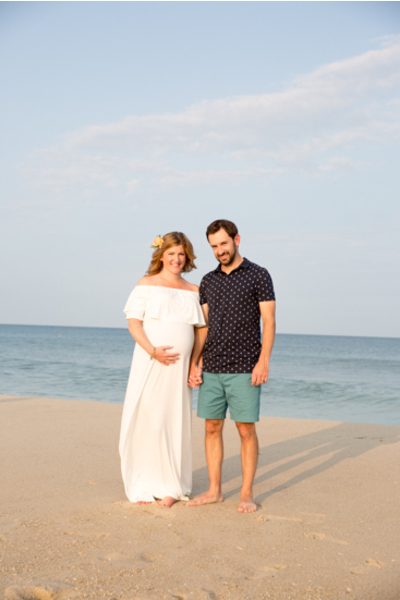 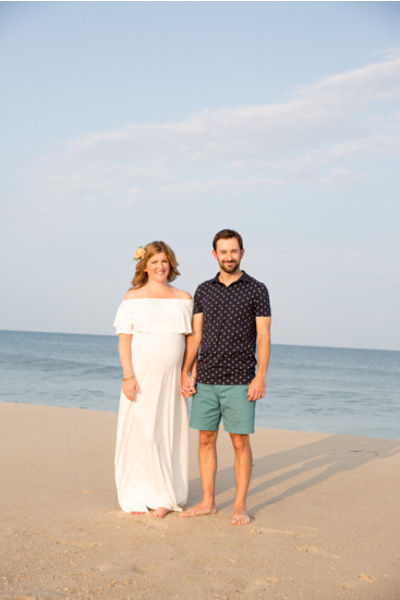 Our NJ Wedding Photographer photographed Jamie and Ben walking hand in hand holding baby beach sandals! 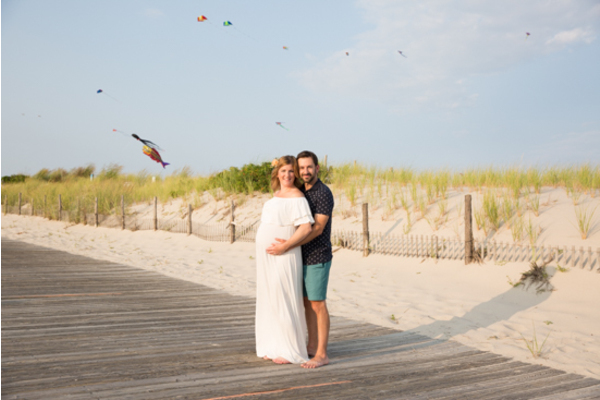 This whimsical theme was the most heartwarming way for them to welcome into this world their most beautiful blessing. 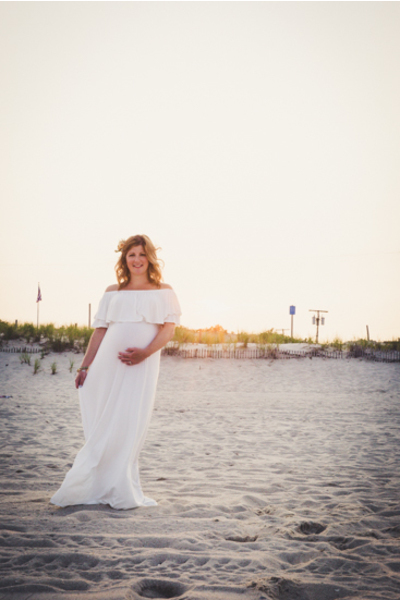 The gorgeous ocean in the backdrop as Jamie stood looking down at her precious bump was breathtaking. 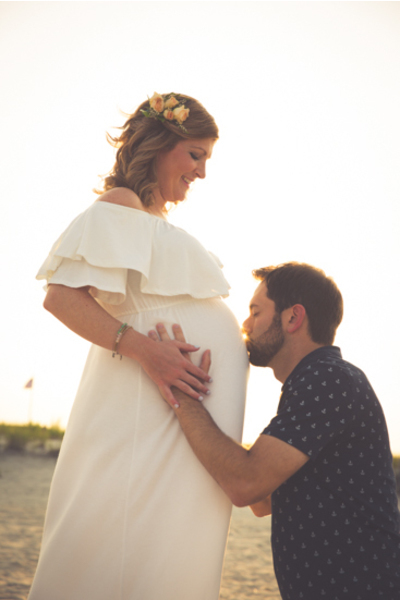 Ben laid his head on Jamie and warmly kissed the baby bump! 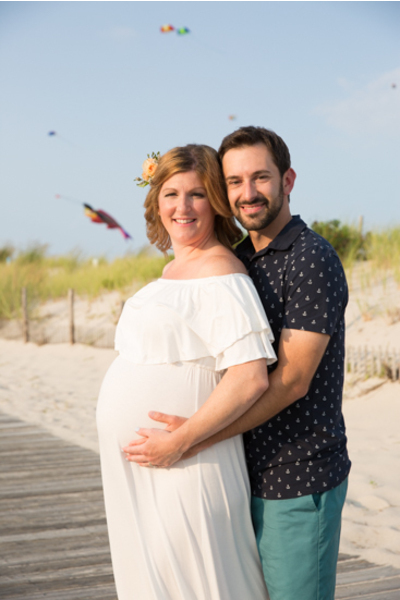 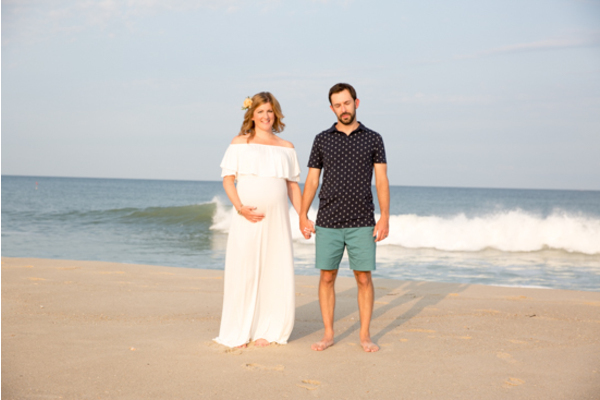 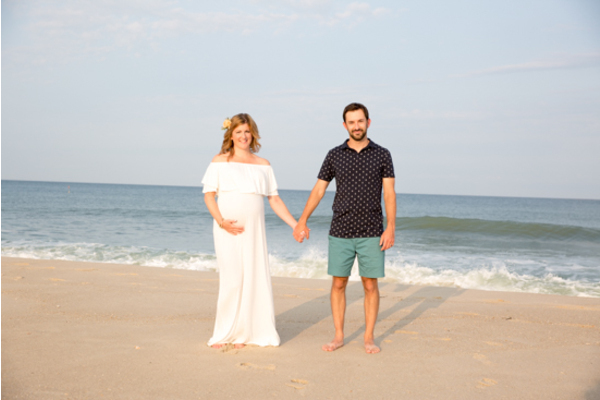 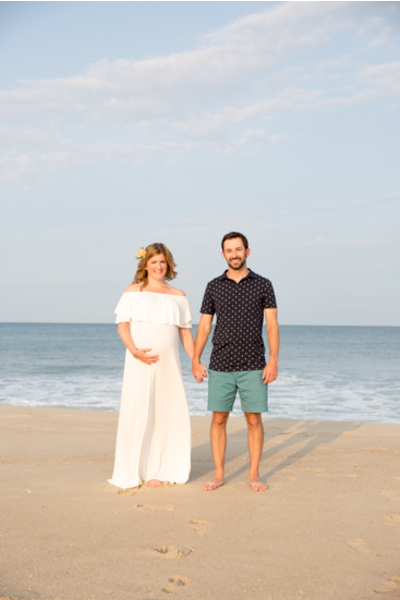 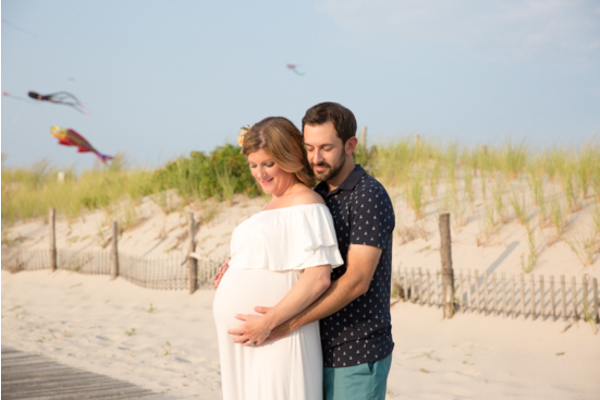 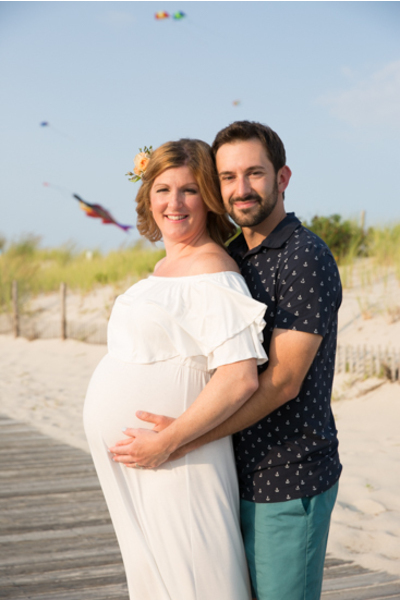 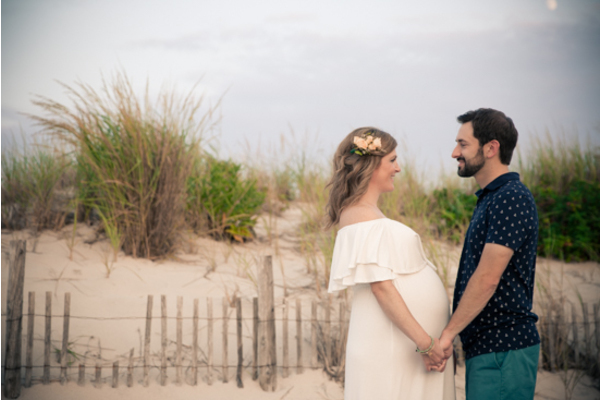 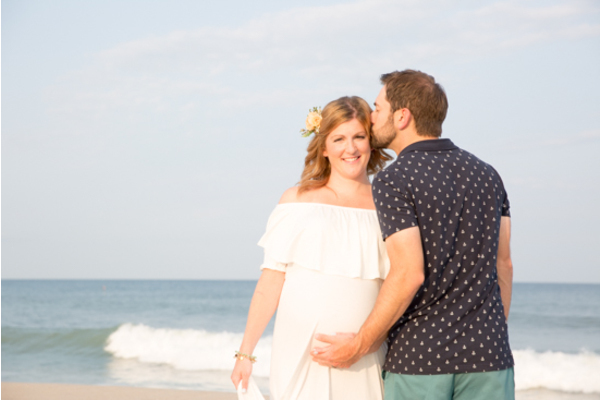 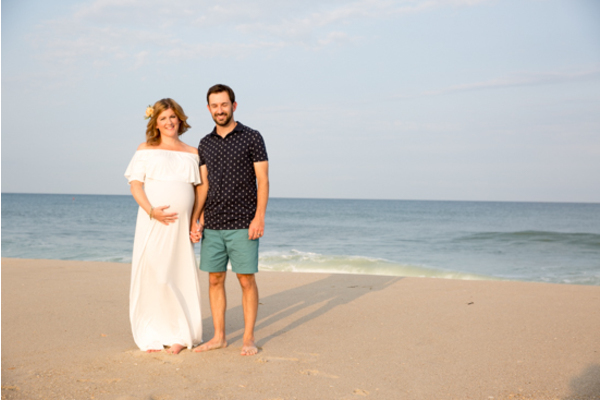 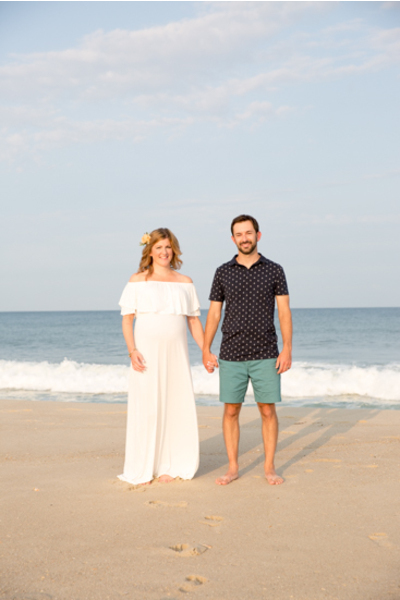 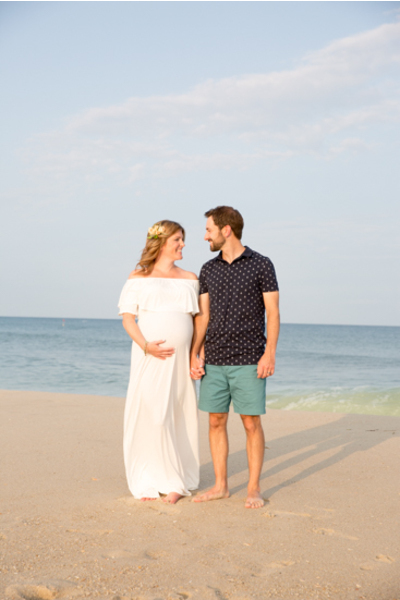 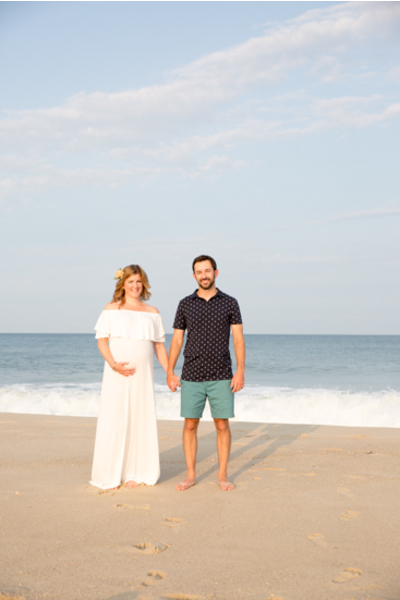 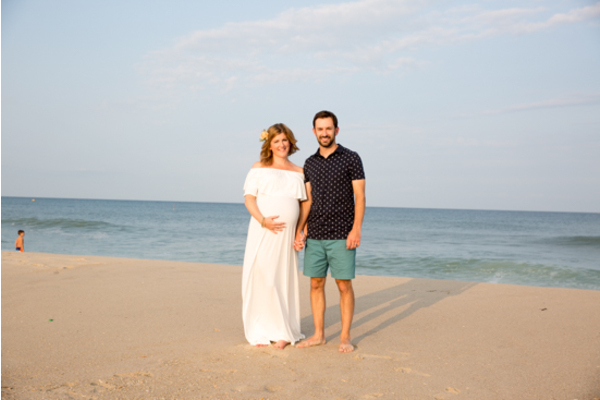 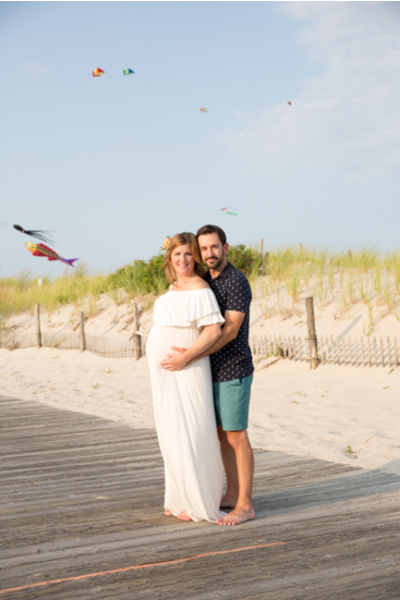 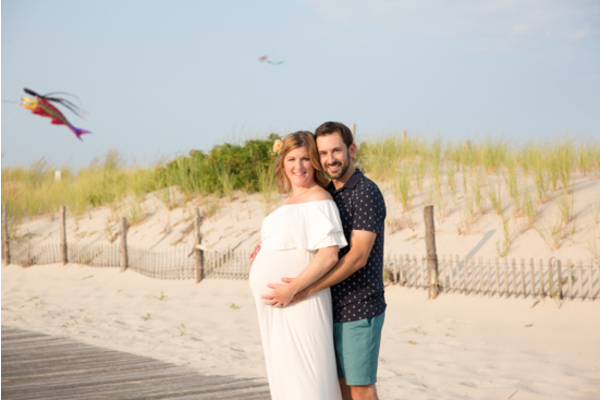 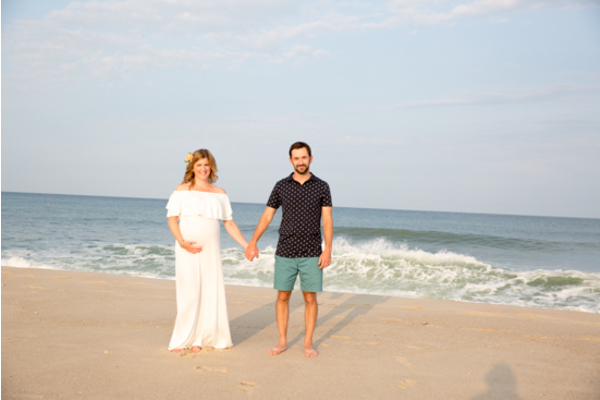 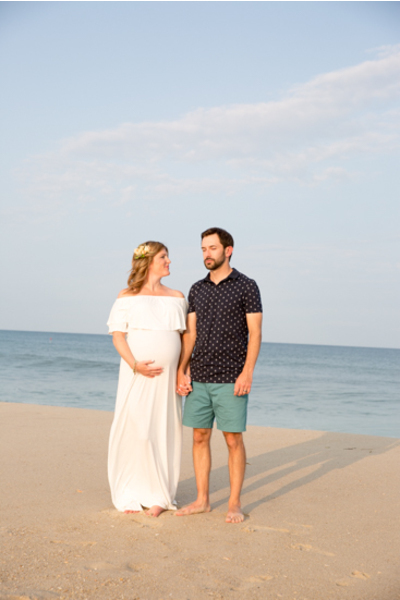 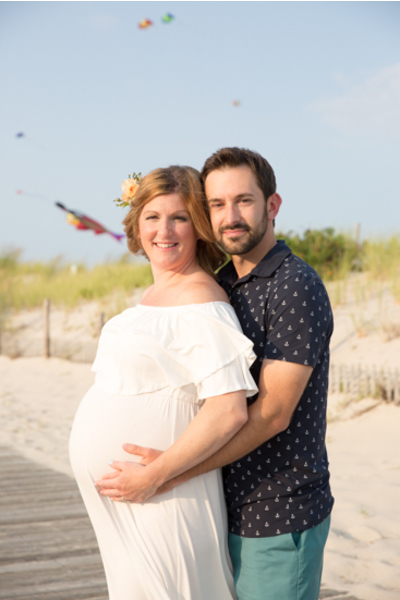 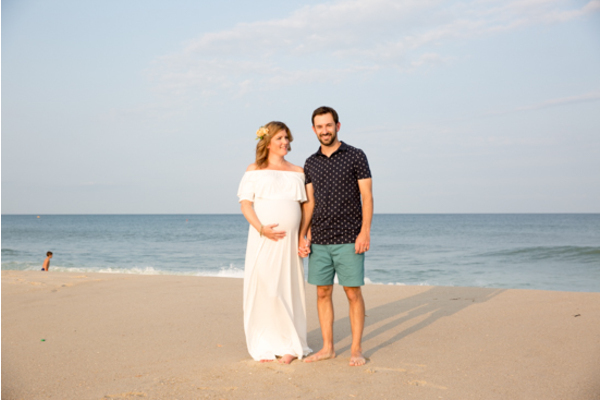 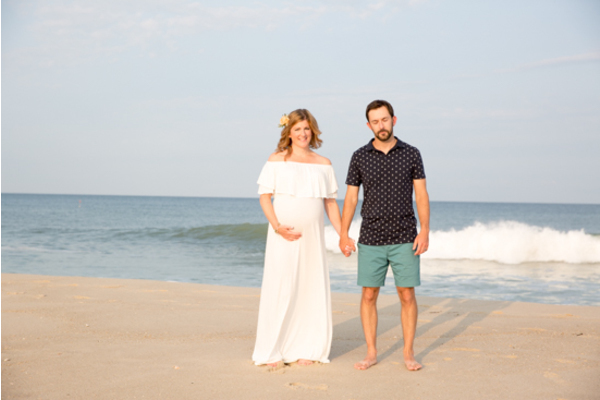 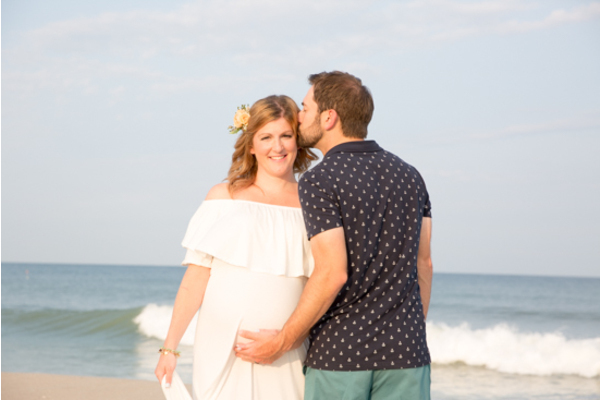 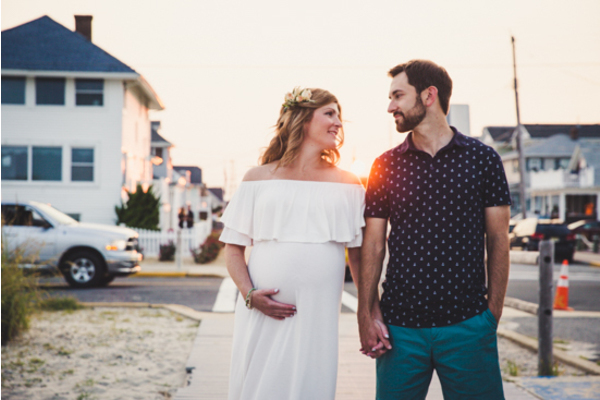 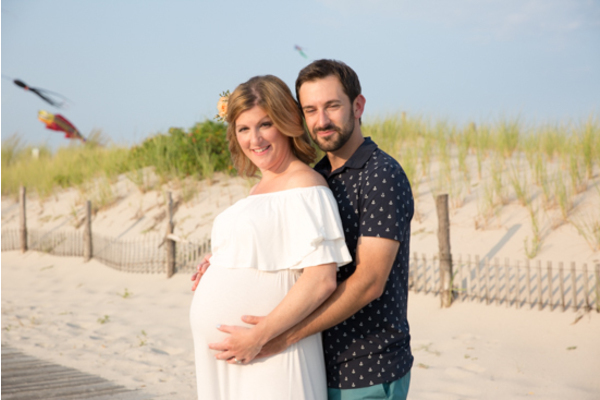 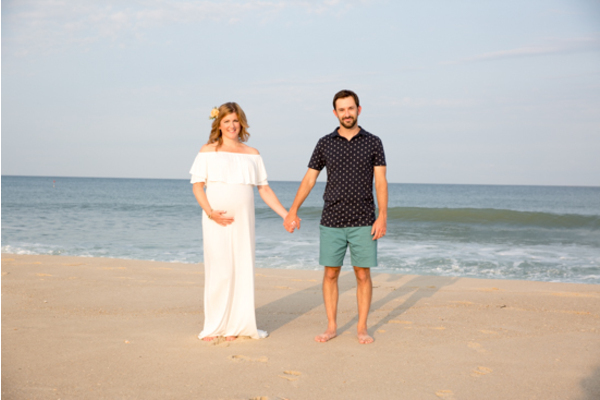 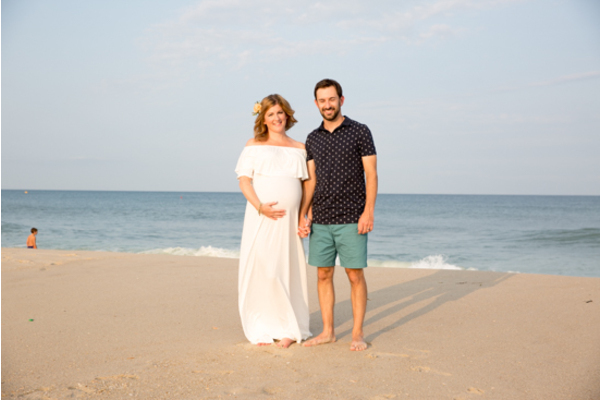 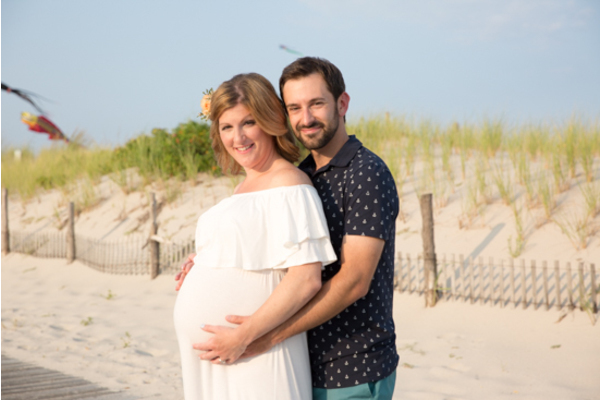 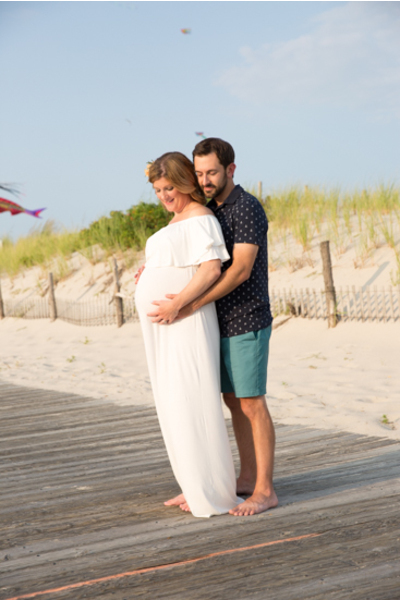 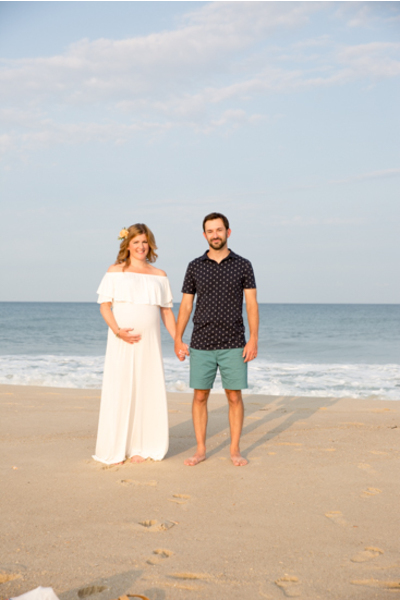 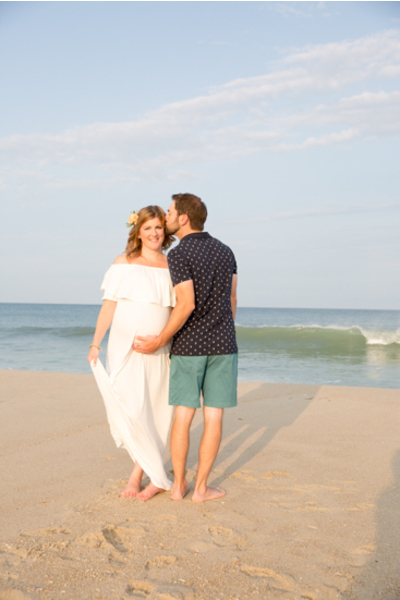 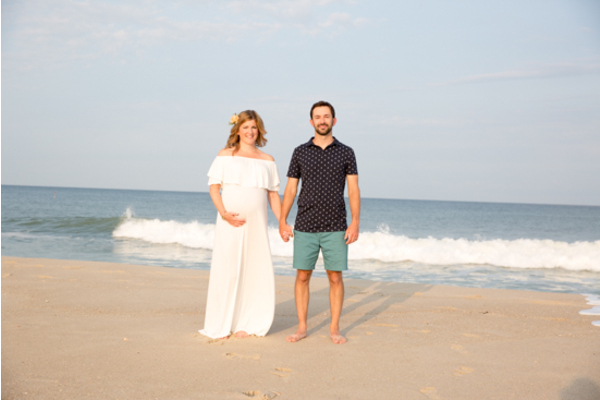 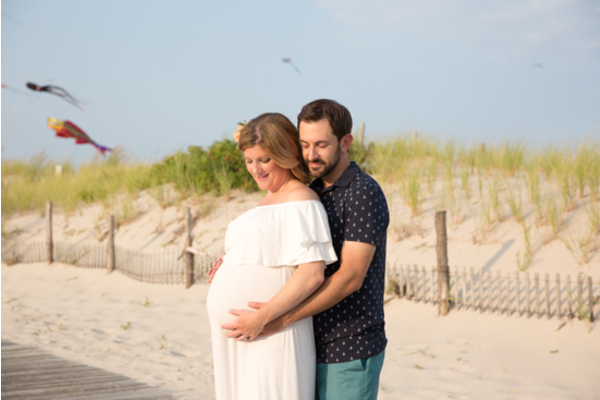 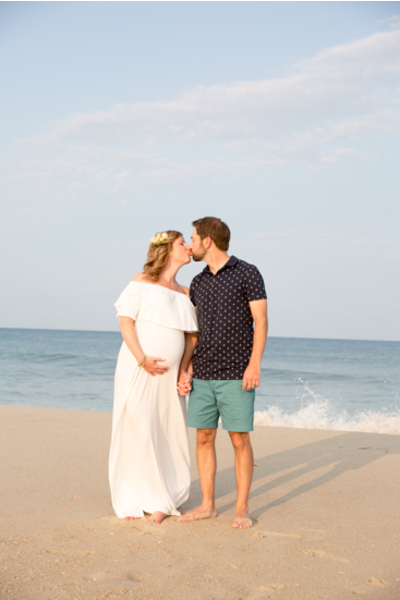 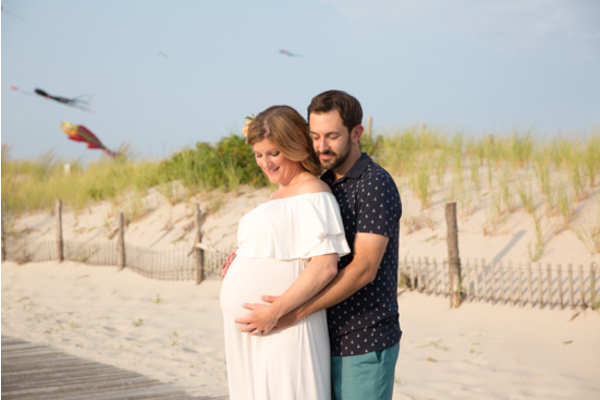 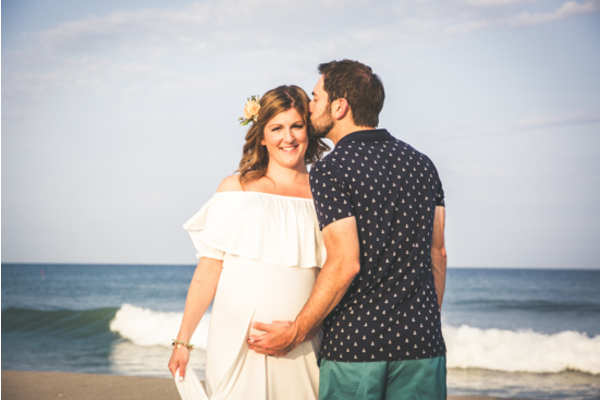 There is nothing sweeter than celebrating bringing a baby into the world, and our NJ Wedding Photographer was able to capture that for Jamie and Ben. 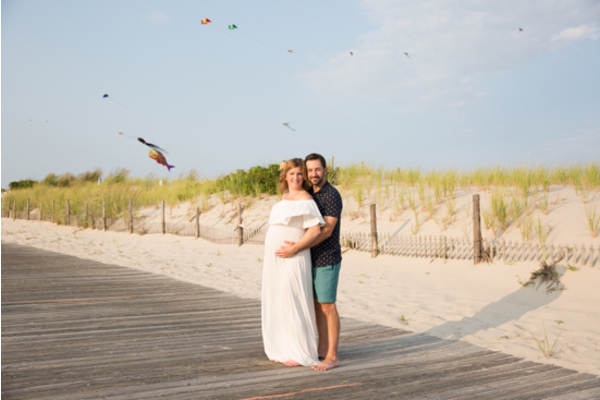 Congratulations to this happy couple and their future family! 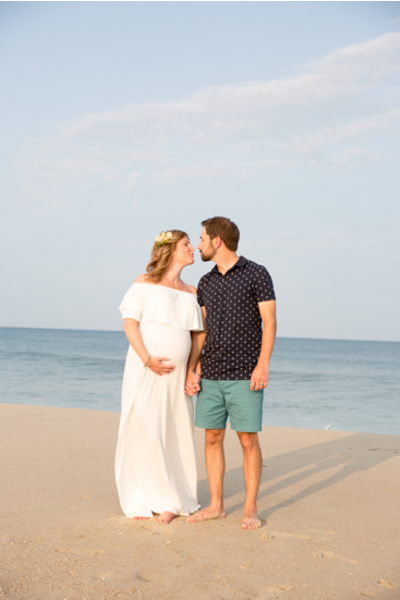 We wish you nothing but happiness, health, and love for you and your family.